I may have gone a little overboard on the stars considering there was only one on the sketch...but that's fine as far as I'm concerned. I also added a paper strip behind the circle, some washi and some bakers twine. I've used a Lili of the Valley image and added a bit of coloured glitter to make it pop. 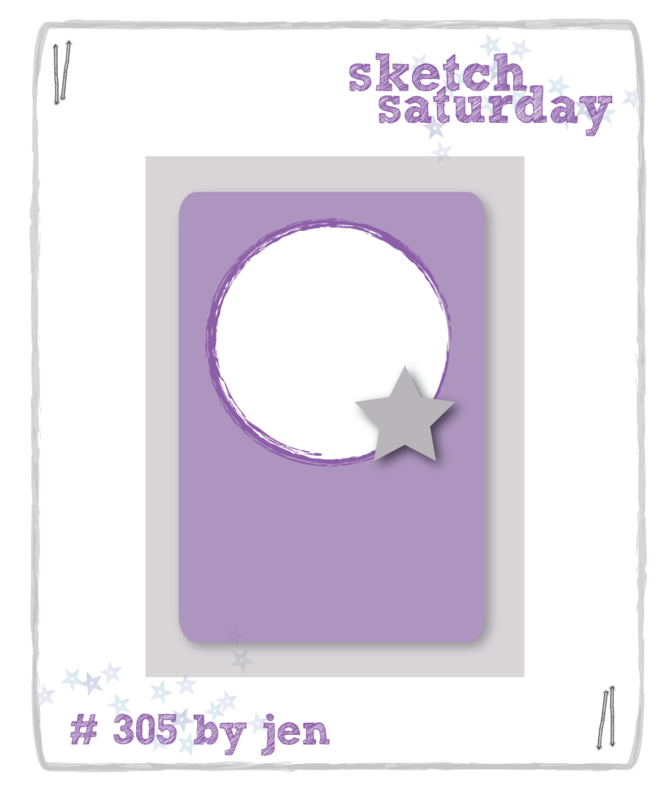 This week's Sketch Saturday sketch is sponsored by Simon Says Stamp and they are offering a fab prize to pop on over and join in with this week's sketch and be in with a chance of winning.